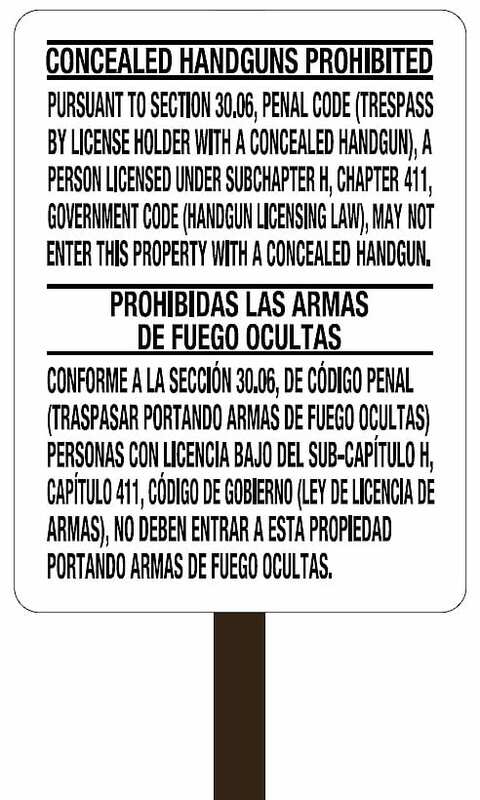 SMU prohibits the possession of any dangerous weapon (either openly or in a concealed manner), or facsimiles of dangerous weapons such as water guns or toy guns and knives, on all University property, athletic venues, passenger transportation vehicles and any groups or building on which University activities are conducted. Student-owned sporting firearms or other weapons (including all BB and pellet guns) are the responsibility of the owner and must be stored at an appropriate location off campus. SMU has been a weapons-free campus since at least 1994. See smu.edu/policy for the full policy. Any violation of this policy is considered a serious offense. If you have questions about this policy, please contact the SMU Police Department at 214-768-3388. In accordance with Texas Senate Bill 11, also known as the “campus carry” law, SMU opted to ban concealed handguns on campus after discussion with the campus community. When the law goes into effect August 1, 2016, SMU will remain a weapons-free campus. The open carry of handguns or other firearms on Texas university campuses continues to be prohibited. Read more about SMU’s decision to opt-out of Texas Senate Bill 11 online here. 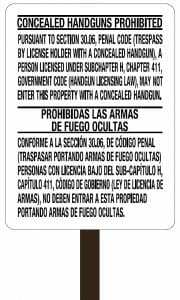 Pursuant to Section 30.06, Penal Code (Trespass by License Holder With a Concealed Handgun), a person licensed under Subchapter H, Chapter 411, Government Code (Handgun Licensing Law), may not enter this property with a concealed handgun. Conforme a la sección 30.06, de código penal (traspasar portando armas de fuego ocultas), personas con licencia bajo del sub-capítulo h, capítulo 411, código de gobierno (ley de licencia de armas), no deben entrar a esta propiedad portando armas de fuego ocultas. As many of you know, Texas lawmakers passed Senate Bill 11 in the last legislative session, and Texas Gov. Greg Abbott signed the bill into law in June. The law, also known as the “campus carry” law, provides that license holders may carry a concealed handgun throughout university campuses starting August 1, 2016. It allows private Texas colleges and universities to opt out of its requirement and ban guns, in consultation with their campus communities. Earlier this month, representatives from the SMU Offices of Legal Affairs, Student Affairs, Business and Finance and Police met with the SMU Faculty Senate, SMU Student Senate and SMU Staff Advocacy Council. The feedback from these meetings was valuable. I am now seeking input from the broader SMU student, faculty and staff community. Please submit your comments about the “campus carry” law and about SMU’s policy as a weapons-free campus by clicking here. To read more about Senate Bill 11, see below. You also can read our long-standing weapons-free campus policy below. While the final “opt out” decision rests with me, your feedback is important. Thanks to each of you for the role you play in maintaining a safe and welcoming campus for all.